For many of us, having supper at home is a lost art. 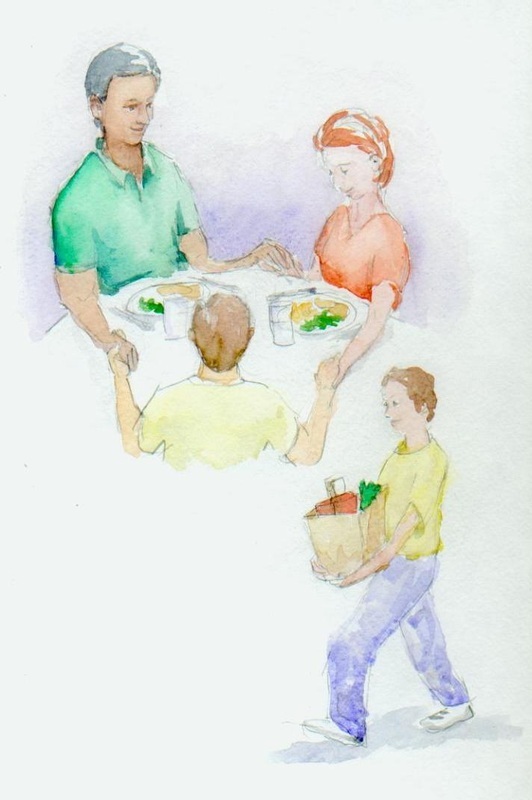 We sometimes have a hard time coming together as families or using mealtime as a way to connect with each other. We've gathered some tips for reclaiming this family tradition. 1. Manage your time. Turn off your TV, phones, and other electronic devices. Plan a time when everyone can be at the table at the same time. This might mean you say no to some things to make time for a family meal. 2. Keep it simple. There's no need to try to make every meal as special as Thanksgiving dinner! 3. Add something special. Light a candle or put a flower in the center. Set the table nicely, letting your children help. 4. Talk! Discuss the events of the day. What happened at school or at work? Everyone can share a “highlight” and “lowlight” of their day. 5. Clean up together. Make this a household expectation. Give everyone a small job and do it at the same time (clearing, wiping, sweeping or vacuuming under the table, doing the dishes). Even preschoolers can clear their own dishes. Put on some good music to create some fun at clean-up time. ABC News reports on Columbia University research showing how sit-down family meals can really impact children. WSJ Live discusses the positive aspects of family dinners and then looks a little deeper into their length. A short ABC News follow-up, sharing a few tips from families in how shared dinners work for them. This website by the J.M. Smucker Company provides tips and tools promoting family meals, including their Disconnect to Reconnect pledge. 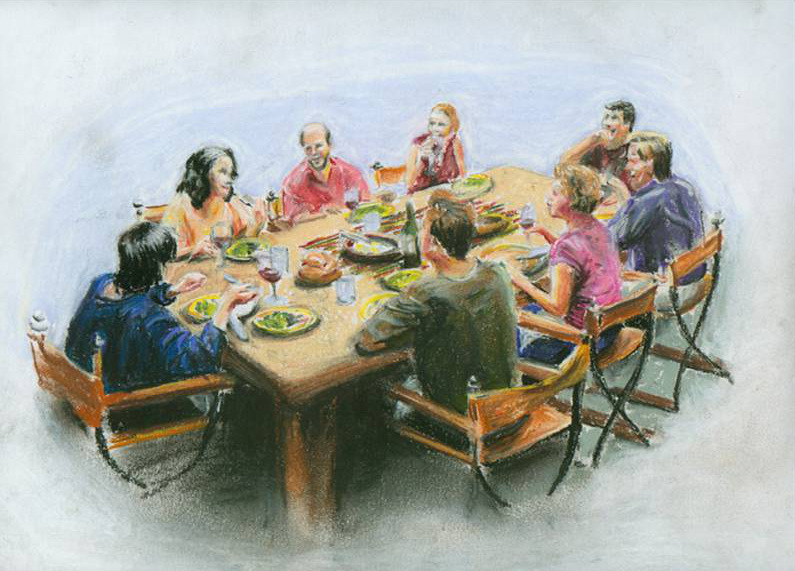 "Sitting down to a meal together draws a line around us," says Miriam Weinstein, author of The Surprising Power of Family Meals, "It encloses us and strengthens the bonds that connect us with other members of our self-defined clan, shutting out the rest of the world." The beneficial impact of family mealtime has been demonstrated for children of all ages. Better grades, healthier eating habits, closer relationships to parents and siblings, ability to resist negative peer pressure, resilience in the face of life's problems — all these are outcomes of simply sharing dinner on a regular basis. Children depend on their parents for the ABCs of good health. 71% say they get information about how to be healthy from their mother; 43% from their father. 19% of teens who have fewer than three family dinners per week report that there is a great deal of tension or stress between family members, compared to 7% of teens who have at least five family dinners per week. More mealtime at home was the single strongest factor in better achievement scores and fewer behavioral problems in children all ages. More meals at home also resulted in less obesity. Because feeding is the most basic animal form of caring, sharing meals is one of the most central family bonds. Through the mini lessons of table manners, children learn to share and think of others. By saying "please" and "thank you," we recognize the humanity of our tablemate, acknowledging the fact that we both deserve respect. More than a decade of research by The National Center on Addiction and Substance Abuse at Columbia University has found that the more often kids eat dinner with their families, the less like they are to smoke, drink or use drugs. Recognizing the importance of family mealtime is an important step in getting the family together and making a commitment to bonding through fellowship. Once you identify the obstacles standing in your way, you can overcome them and be well on your way to togetherness – even busy schedules feel less busy when you have time to spend together over a meal. Make a schedule, set an expectation, and have fun with your family feasts. With just a little effort, your family can be healthier and happier — simply by taking the time to sit down to eat together daily. Shared meals were an essential part of Jesus' ministry, and the basis for our sacrament of the Eucharist. 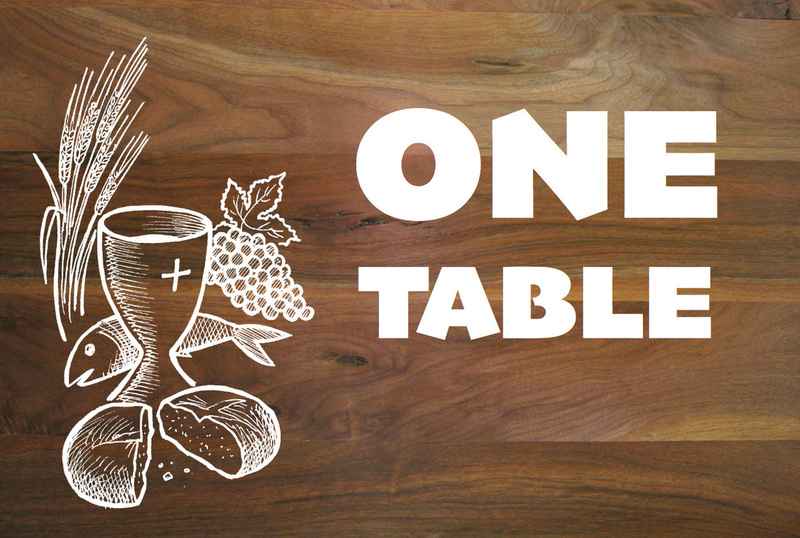 As Christians following Jesus' example, we gather together at One Table. Why was supper so important to Jesus, and how can we reclaim it as Christians? Here are some handpicked books to help you get your family meals to happen and kick of prayer and conversation once you're at the table. Check out the page on our site that give you ideas on your mealtime prayers.